As the ASL-English interpreting field has become professionalized, there is a growing disconnect between interpreters and the Deaf consumers they serve. Whereas interpreting used to be a community-based practice, the field is growing into a research-based profession that begins in a classroom rather than in the Deaf community. 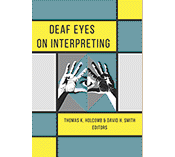 Despite the many gains being made in the interpreting services profession, with an emphasis on the accuracy of the interpreted work, the perspectives of Deaf individuals are rarely documented in the literature. Opportunities for enhanced participation and full inclusion need to be considered in order for Deaf people to best represent themselves to the hearing, nonsigning public as competent and intelligent individuals. Deaf Eyes on Interpreting brings Deaf people to the forefront of the discussions about what constitutes quality interpreting services. 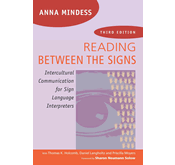 The contributors are all Deaf professionals who use interpreters on a regular basis, and their insights and recommendations are based on research as well as on personal experiences. These multiple perspectives reveal strategies to maximize access to interpreted work and hearing environments and to facilitate trust and understanding between interpreters and Deaf consumers. 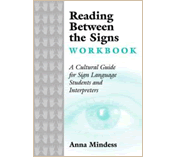 Interpreter educators, interpreting students, professional interpreters, and Deaf individuals will all benefit from the approaches offered in this collection. 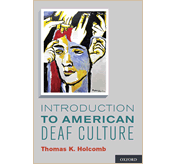 Thomas K. Holcomb is a professor of Deaf Studies at Ohlone College in Fremont, CA. David H. Smith is an associate professor and director of the Center on Deafness at the University of Tennessee, Knoxville.